London International Airport is situated 5 nautical miles northeast of the city of London with thousands of visitors from around the world. At Minibus Transfer Services, we consider it our duty to take these visitors to the right place and at the right time via our London Airport Transfer Services. No matter what is the purpose of the visit and where they want to reach, we take pride in providing them with the most comfortable London airport taxi transfer services. Depending on the choice of customers, we provide one of our swanky vehicles with the maximum capacity of 16 people. Offering a range of vehicles, we make our customers select from one of the taxis or 7, 8, 9, 12, 14 and 16 Seater Minibus from London City Airport. Whether, they want to be driven around the city in a subtly elegant vehicle or a fun-ridden mini bus the choice is completely theirs. Comprehensive understanding of the value of time makes us the most punctual service provider of Minibus Hire for London Airport Transfers. We reach at the registered terminal 10 minutes earlier and make sure that the customer reaches the destiny in the shortest span of time. Our well-updated vehicles assure a fun-ridden journey with DVD players, soft music, and well-decorated interior. For the corporate travels, we make sure that the atmosphere goes accordingly. Along with these services, you can also book a taxi to London airport. In the end, if you are stuck perplexity of security and budget, then let us assure you that you are at the right place. We hire only the top drivers of the city and our verification processes include a background test, medical test and high-end driving test. Our drivers are well-trained to handle the worst of situations. 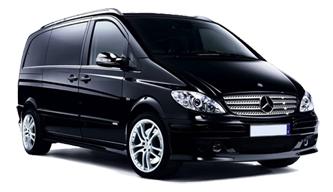 Bringing the services under the reach of every customer, all the London Airport Minibus Transfer packages are tailored to fit all the budgets. We are also offering cheap Heathrow Airport Taxi Service. Feel free to contact us for an upbeat taxi hire service for London city airport.